Nancy Pelosi declined to rule out impeaching President Donald Trump before being sworn in as Speaker for the US House of Representatives as the Democratic Party took control of the chamber yesterday. The 78-year-old Democrat congresswoman for California became the first person in half a century to take on the role twice, having previously held the post during George W Bush’s presidency. She was brought in after the Democrats won back control of the House – one half of the US Congress – at the midterm elections last November. It is a major headache for Mr Trump, with the US president’s political opponents now able to block his legislation and launch investigations into him through the chamber’s committees. The Democrats could also use the position to impeach Mr Trump – the act of removing a sitting president from office. Impeachment proceedings begin in the House and need a simple majority to pass. But the Senate, held by the Republicans, would also need to back the move for it to become binding. Conducting a round of interviews before taking up the position, Ms Pelosi, who effectively becomes the most powerful female politician in America, declined to rule out going for impeachment. She said the party would not pursue impeachment for political reasons, but hinted a change in stance could be on the cards depending on what was uncovered by Robert Mueller, the special counsel leading the Russian election-meddling probe. 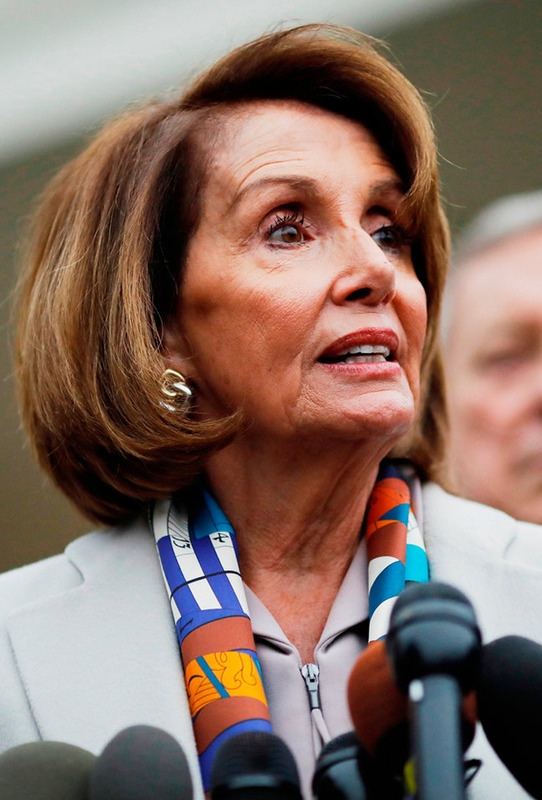 “We have to wait and see what happens with the Mueller report,” Ms Pelosi told ‘NBC’s Today’ show in an interview broadcast yesterday. In a sign of the enthusiasm in some quarters of the Democratic Party for the move, Brad Sherman, a California congressman, said he would introduce articles of impeachment again in the House.